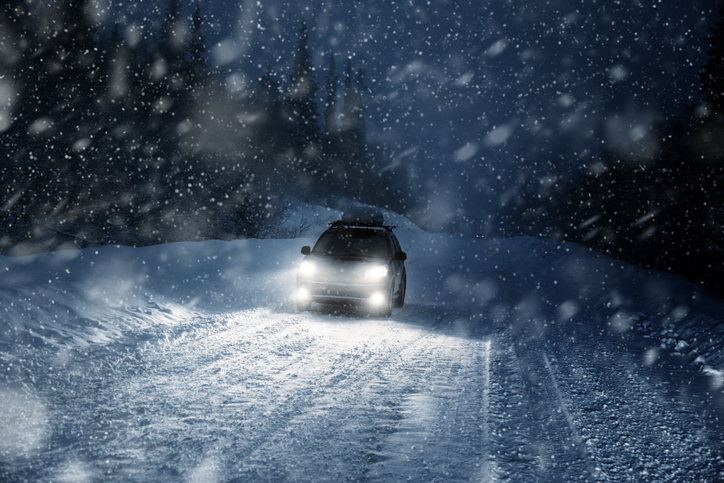 Driving in winter weather conditions can be very dangerous if you do not take the proper precautions. In Alaska, you will almost inevitably end up driving in winter weather but not all the time. In some lower parts of Alaska, you will see fairly normal weather, especially in the summer months, compared to central and upper Alaska. Regardless, if you know you will be driving in Alaska at some point in the future. It is best to get prepared to drive safely through winter weather conditions such as snowy and icy roads with low visibility. One of the very first things that you will want to do in order to prepare to drive in the potentially inclement Alaskan weather conditions is to get your car winterized. There are a few ways you can go about this. You can take it to an auto shop and tell them “I need my car winterized” and give them a few hours to a day or two and you will be all set. You could also do it yourself. It will likely take more time and definitely take more effort on your part, but you will end up saving a few dollars in the process. Make sure you have your anti-freeze filled – Make sure your anti-freeze is filled and that it is diluted with water by fifty percent. You can test your current anti-freeze mixture by buying one at a local auto parts store such as AutoZone. You also need to make sure you have extra anti-freeze in your trunk just in case you run low while you are driving. Get a new battery – Your battery is always critical to your car. This is especially true in cold weather. You do not actually need to get a new battery but if you don’t you will need to get your current battery checked by a mechanic. If that is what you choose to do, then you might as well pay the extra couple of dollars and let the mechanic perform the whole process of winterizing your vehicle. Get some snow tires, some sand and a shovel – That probably sounds like a weird thought, but both of those things have a lot to do with the traction you will be able to get in the snow. Snow tires retain flexibility better in colder weather than normal tires. They also have much better treads on them which will greatly increase traction. The sand on the other hand is for just in case you do get stuck with your wheels spinning in the snow. Once you clear excess snow away from your tires, you can pour some sand under the front and back of your tires and that should get you moving again. Get new wiper blades – You will want to get new wiper blades as well as a spare set to keep in your trunk just in case something goes wrong with the ones you are currently using while you’re driving in winter conditions. You should also fill your wiper fluid and make sure that you have extra somewhere in your car. Get your oil changed – You will want to get your oil changed to a viscosity that is lower because this oil will perform better in much colder temperatures. Be sure when you are picking an oil that you pick the oil with the W in the number. For example, many people recommend 5W30 for winter weather. The W, as you might have guessed it, stands for Winter. A roadside assistance program such as AAA or an easily accessible number for a reliable tow truck. This is the most important thing to remember about driving in winter conditions. If you take it nice and easy then the risk for an accident decreases greatly. Driving slower will increase the amount of time that you have to react to something. It also reduces the chance of your car slipping and sliding. Over a hundred thousand Americans are injured and more than thirteen hundred are killed on snowy, slushy or icy pavement every winter. This goes to show you that driving with caution in winter weather is so important. Come to a stop gradually – When you’re trying to come to a stop on a snowy or icy road, it is always better to do so at a very gradual pace. You can accomplish this by taking your foot off of the acceleration well before your intended stop point. Then, hit your brake pedal gently but completely. Don’t slam on it. When you slam on it you will end up sliding further than if you came to a gradual stop. If you start sliding to the left or right DON’T break – That might sound ridiculous but doing so will only help accelerate the slide. Instead, turn your wheels into the direction that the back of the car is sliding. Also, be sure to avoid overcorrecting as well. Drive slow! – We know we already discussed this at length, but it cannot be overstated how important this is when you are driving in winter conditions. This can easily, and often is, the difference between getting to your destination safely and getting into an accident. Driving in winter weather conditions is no picnic. But, if you prepare properly it will be a lot easier and safer. Try visiting Alaska during the warmer seasons if you want to try to avoid driving in inclement winter weather all together. However, if you do end up driving in the ice and snow, be sure to drive safely!